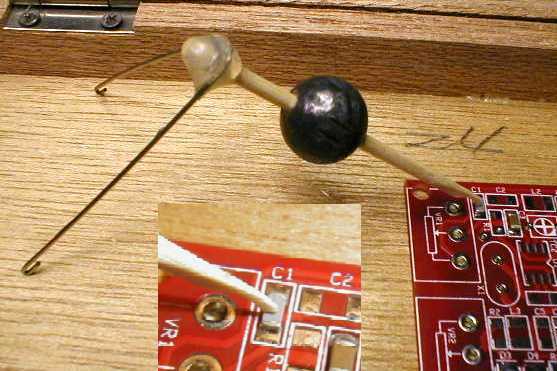 Chances are that most have used a soldering iron as part of their first accomplishments on the homebrewing workbench ... to assemble a kit, prepare a cable or to build a radio. But how many of us ever had instruction from an Elmer when we first starting using that $5 radio Shack pencil iron or that 35W Weller Soldering Gun? Here's a chance to participate in a discussion that overviews the many aspects that we each have mastered(?) over the years. We can compare notes, toss in our own experiences of successes and failures, and offer general guidance to the newcomers in the homebrewing ranks. <20:42:23>"George - N2APB": acid core solder = no no. Nearly impossible to get the acid flux outta there and eventually the joint (and electrical connection) will corrode. <20:43:30>"George - N2APB": Rosin core is the best for us to use. Rosin melts and keeps air away from the joint during soldering. Usually no need to add extra flux. better one from Europe is "multicore". <20:44:07>"George - N2APB": Water soluble solder is usually not good for amateur use. Hard to get it all off without leaving some gray trace of it behind, which also tends to corrode in time. <20:44:32>"George - N2APB": 60/40 (or 63/37 with lower melting point) is better for us to use. <20:44:59>"George - N2APB": Common sizes is 015" (size of hair) for SMT use, especially. <20:45:13>"George - N2APB": 031" is better suited for larger-leaded parts. <20:45:30>"George - N2APB": 128" solder not great for electrical components. <20:46:49>"George - N2APB": ROHS (no lead) is come to be the better environmental solution (no Pb), but it has problems in time ... "Tin wiskers" actually grow and ultimately short out connections. Hi-Reliability industry does NOT use ROHS solder for this reason. <20:55:29>"Joe N2CX": 1206 is .12" x .06"
<20:56:04>"Joe N2CX": 0805 is .08" x .5" Decimal, not metric! <20:56:43>"Joe N2CX": Make that .08" x .05"
<21:09:18>"George - N2APB": To see several thousand soldering demo videos on YouTube, do a search there using "soldering tutorial"
<21:09:28>"George - N2APB": http://www.youtube.com/results?search_query=soldering+tutorial&oq=solder&aq=1&aqi=g7g-s1g2&aql=&gs_l=youtube.1.1.0l7j0i10j0l2.774l1217l0l3885l6l4l0l0l0l0l183l536l1j3l4l0 . <21:15:05>"N8ET - Bill": Bruce of EAE Sales www.eaesales.com will be at the Timonium hamfest - he has everything for soldering! <21:16:07>"N8ET - Bill": Thanks George! $5 Radio Shack ... No!!! $100 X-Tronic 4000 ... Best!